The Aqua Terra plays a special role in the Seamaster collection. It's Omega's most robust everyday watch, able to withstand depths to 150 m (492 ft). Thanks to its modern Master Co-Axial escapement, it's also able to withstand strong magnetic fields. The wristwatches of the Seamaster Aqua Terra collection are some of the most modern mechanical watches in the world. The sporty, yet elegant Aqua Terra >15,000 Gauss is unaffected by magnetic fields up to 15,000 Gauss, making it one of the world's best anti-magnetic watches. All of this is possible thanks to modern technology and materials such as silicon. Tests conducted by the watch trade press have confirmed that this timepiece is unaffected by strong magnetic fields. The screw-down crown and case back help keep the watch water resistant to 150 m (15 bar, 492 ft). Since this timepiece lacks a rotatable bezel, it has a slick, sporty, elegant look. This is what makes it so different from the other models in the Seamaster collection. It goes just as well with a suit as it does with a polo shirt. Different case sizes ranging from 38.5 mm to 49.2 mm offer an option for every wrist. 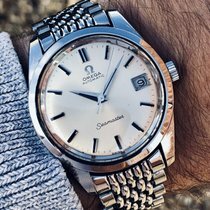 The Aqua Terra line from Omega is incredibly diverse. For example, there are models with cases and bracelets made from stainless steel or titanium, 18-karat red, yellow, or Sedna gold, as well as bicolor models made from 18-karat gold and stainless steel. You have the choice between leather or textile armbands. 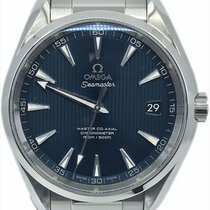 How much does a Seamaster Aqua Terra cost? Depending on the size and material, plan to spend between 2,300 and 4,100 USD on an Aqua Terra with a mechanical caliber and Omega's Co-Axial escapement. The 42.5-mm Aqua Terra Chronograph sits in a similar price range, though it's no longer part of the current catalog. Older quartz models mark the entry point into the Aqua Terra collection. You can purchase a well-maintained women's watch with a stainless steel case for between 1,300 and 1,600 USD. 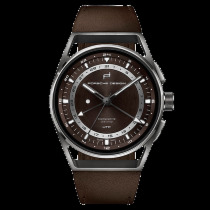 At 1,700 to 1,900 USD, men's models from this same time period are only slightly more expensive. Older examples of the Aqua Terra are quite easy to spot. Their date display sits at 3 o'clock, and the vertical "Teak" dials resemble the planks of wood on a yacht. These dials were first introduced in 2009. Current models also have a Teak pattern, but this time it runs horizontally. What's more, the date display has wandered down to 6 o'clock, giving the watch a more symmetrical appearance. As always, Omega offers both men's and women's watches in the current collection. Every model, except for the 28-mm women's models, features a so-called "Co-Axial Master Chronometer" caliber . These movements operate with COSC-certified precision, are unaffected by jolts, and can resist magnetic fields of up to 15,000 Gauss. 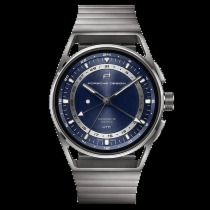 You can purchase a stainless steel men's model for about 4,200 USD. Bicolor models in steel and Sedna gold sell for around 6,200 USD. Those with a gold case and bracelet demand a solid 22,000 USD. Prices for women's models begin around 2,200 USD. This will get you a 28-mm, quartz-powered timepiece—the smallest in the collection. You can find larger models with mechanical movements and stainless steel cases starting at 5,100 USD. The gold and bicolor women's models are also significantly more expensive. Plan to spend between 8,700 and 18,100 USD for one of these timepieces. If you decide on a watch with diamonds, be prepared to spend as much as 35,000 USD. 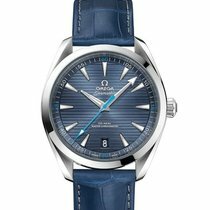 As is the case in most collections, Omega has released numerous Aqua Terra special editions. The Aqua Terra >15,000 Gauss is one such timepiece. It was the first watch to feature technology and materials now present in each of the Biel-based manufacturer's Master Chronometer calibers. You can recognize this watch by its black and yellow striped second hand and the yellow ">15'000 GAUSS" inscription above the 6 o'clock position. Be sure to set aside around 4,700 USD for this anti-magnetic timepiece. The limited edition Aqua Terra 007 Spectre has almost the exact same construction. It was released in 2015 in honor of the 24th movie in the James Bond series, "Spectre." A honeycomb pattern embellishes the dial, and its second hand is solid yellow. Furthermore, the 007 logo is integrated into the ">15'000 GAUSS" inscription. 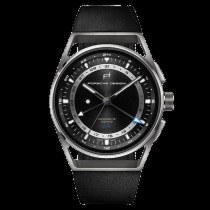 This watch has a price point of about 5,800 USD. Omega decided on light and robust titanium when crafting the models in the GoodPlanet line. These watches are dedicated to the "GoodPlanet Foundation," an ecology and sustainable development NGO. You have the choice between two models: a 38.5-mm three-hand version and a 43-mm GMT edition, which has a fourth hand that displays the time in a second time zone. You'll need to have around 7,700 USD on hand for the GMT model and around 5,600 USD for the variant with three hands. The Aqua Terra Golf is yet another special edition. While technically identical to the standard model, it has numerous green elements that contrast nicely against the black dial, including the second hand; the 'Seamaster' inscription; and the 15, 30, 45, and 60 minute-markers on the minute scale. A black and green NATO strap perfectly rounds off the entire look. Those who dislike this color combination may enjoy the version with a pale dial and orange accents. Both timepieces demand prices of around 4,100 USD. One particularly exceptional model is the Aqua Terra Worldtimer. 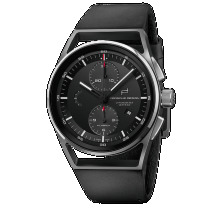 It is the first Omega watch to feature a world time display and is limited to only 87 pieces. The most striking detail of this 43-mm platinum watch is the enamel Earth in the center of the dial. This is then enclosed by a 24-hour scale, which is further enclosed by a sandblasted platinum dial. Each time zone is represented by the name of a famous city – those that participate in daylight savings are black while those that do not are blue. The 18-karat gold hands and indices offer a nice contrast. You'll need about 42,700 USD to purchase this exquisite timepiece. Magnetic fields pose a serious threat to mechanical movements. Parts such as the balance spring can "stick together" due to magnets, significantly affecting a watch's precision. In addition to the permanent magnets in flip charts and refrigerators, electromagnetic fields can also affect a watch's precision. Magnetic fields are almost unavoidable: They're in headphones, smartphones, tablets, speakers, and even induction cookers, to name just a few. Manufacturers have been protecting their calibers against magnetic fields of up to 1,000 Gauss using soft iron cages since the 1930s. 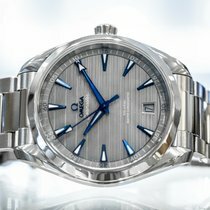 However, Omega went in a different direction with their Aqua Terra >15,000 Gauss. This Swiss luxury watch manufacturer uses anti-magnetic materials to guarantee chronometer-level accuracy even when exposed to magnetic fields of 15,000 Gauss. The balance spring is made of anti-magnetic silicon and swings freely in a titanium balance wheel, which is also anti-magnetic. Omega's engineers were also able to create a silicon escape wheel. The timepiece also features the so-called "Co-Axial escapement," which sets itself apart from Swiss anchor escapements with its low friction and high efficiency. Omega has all their Master Chronometer calibers tested and certified for accuracy by the Swiss Federal Institute of Metrology (METAS).